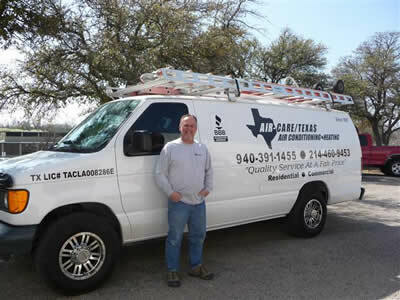 Air-Care/Texas can provide you with all of your residential Air Conditioning and Heating needs. No job too large, none too small. Here are some of the many services that we offer at Air-Care/Texas. 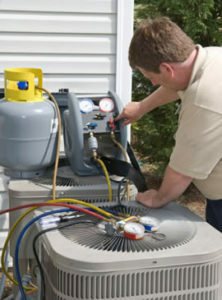 You can pay a little for routine air conditioning or HVAC servicing or pay a lot later for a major repair. Without regular maintenance, an air conditioner will lose about 5% of it's efficiency for each year of operation. A regular service check should include cleaning the condenser coils, checking the amp draw of the compressor, oiling all fan motors, checking belts and checking the system operating pressures and temperatures to manufacturer's specifications. "I hired them to do a health check on my heat pump based air conditioning unit. They provided very quick response. Mr Bo Meyer thoroughly checked my system and did not find anything wrong. He explained in detail various tests he performed and the results. I will gladly use their services again next time". "Bo took the time to explain everything in detail and was very knowledgeable about his work. I would definitely use him again for future A/C work." "Great attitude. Caring individual. Very willing to help." Are you heating and cooling your home efficiently? 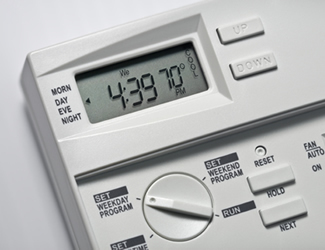 Did you realize that nearly half of the energy used in your home goes to heating and cooling? A properly maintained Heating, Ventilating, and Air Conditioning system, or HVAC can have a huge effect on your utility bills. Save money! If your HVAC is more than 10 years old, have it evaluated by a professional Air Conditioning and Heating contractor. If your Air Conditioner is not performing efficiently, or needs upgrading, consider replacing it with an ENERGY STAR HVAC unit. You could cut your annual energy bill by as much as $200.